We felt immensely that there is a need to develop a platform in order to elucidate and create an awareness that would make these stamp duty and registration procedure - a smooth ride rather than a bumpy and rough ride. e-Stampdutyreadyreckoner.com Maharashtra is that platform through which we have tried to bridge the gap between Stamp Duty (Tax Payers) and Registration and Stamp Department. The reader who goes through the website will get their fundas clear related to stamp duty and registration. e-stampdutyreadyreckoner.com Maharashtra contains the present market rate of the immovable properties i.e. Land Unit, Residential Unit, Office, Shop (Commercial Unit) and Industrial Unit, with all portion covered under Municipal Corporation of Greater Mumbai. 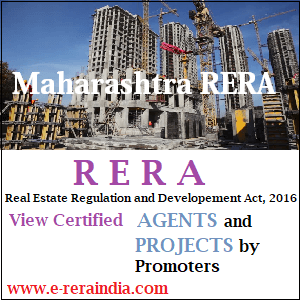 e-stampdutyreadyreckoner.com Maharashtra will help you to find the market value of the property located in the valuation Zone of Division in Mumbai City and Village in Mumbai Suburban District. In Mumbai City, there are 19 Divisions and 106 Villages in Mumbai Suburban District. e-stampdutyreadyreckoner.com Maharashtra is also coming up with other districts of Maharashtra State, So, do tune in regularly as we bring to you the latest useful information on Stamp Duty and Registration in the Real Estate Industry. We have ensured lucid and simple language throughout the website for this important yet tedious topic, secondly, navigation on the website is also very easy and information required is available readily at the click of mouse. The technical jargon such as super built-up area, built-up area, carpet area, square feet or square meter can be head spinning. e-Stampdutyreadyreckoner.com gives definition and detail description of these terms. The various tips provided on the website will also be helpful in dealing with property transactions. The FAQ page features information one seeks about stamp duty and registration. We have ensured a sequence from basic to advance questions and answers. This will enable the buyer to understand progressively and thoroughly. We have also given the addresses of registration offices in the state of Maharashtra. We have included ready reckoner page featuring all important calculations of stamp duty, various modes of payment of stamp duty and registration such as franking, e-stamping procedures, online mode and the offline option of payment through banks. The ready reckoner page also details essential technical formalities involved during the registration of documents, list of documents required for registration under section 17 of the Indian Registration Act, 1908. We have a vision where people can do hassle free property transactions and every citizen of this country realize their dream house or dream property and live to enjoy the fulfillment of their dreams. Kindly note that e-stampdutyreadyreckoner.com has taken all pains to keep all information updated with all the changes. However, we want readers to confirm all the information and contents provided on this website with the original government publications, circulars, amendments, and notifications. The website shall not be held responsible for its suggestions, views, and advice provided by us. The information on e-stampdutyreadyreckoner.com should be used for reference purpose only and e-stampdutyreadyreckoner.com cannot be held responsible for any kinds of claims arising out of the use of any information displayed on the website. Imp. Office's Of Stamps and Registration Department Maharashtra State. Department of Registration and Stamps, Maharashtra State has provided Supervisory and Controlling Officer and Public Information Officer to hear the Public Grievances and to provided them any information related to said department under Right to Information Act 2005. Stamp Duty is levied on certain types of document execute in Maharashtra State or brought from outside for acting upon same in the state. The rates at which stamp duty is levied on these documents are mentioned in Schedule –I of The Bombay Stamp Act, 1958. Maharashtra State Government has provided various types of facilities to the public for the payment of Stamp Duty through various types of mode and has appointed Nationalized Banks, Schedule Banks and the Private Banks and the Co-operative Banks which are authorized by Reserve Bank of India. Maharashtra State Government has provided various types of facilities to the public for the payment of Stamp Duty through various types of mode and has appointed Nationalized Banks, Schedule Banks and the Private Banks and the Co-operative Banks which are authorized by Reserve Bank of India. With view that the facility of payment of stamp duty is made easily available to the public therefore different arrangements are in force. Department of Registration and Stamp, Maharashtra State Government had appointed Authorized Service Providers to register Leave and License Agreement in Maharashtra These facilities are available at out-let and door to door service for the convenience of public. With view that the facility of online e-registration of Leave and License Agreement is made easily available to the public therefore different arrangements are in force. Lots of people having lack of knowledge so it was necessary to shared our knowledge and experiences. Reader who goes through the website will get their fundas clear related to below topic. How to search Index-II and Document online. Useful Various Types Of Forms. Frequent Ask Question by Non Resedent Indian's. Mumbai is divided in two part one is Mumbai-City and other Suburban District. In Mumbai City there are 19 Division and Mumbai Suburban District is having 105 Villages. Maharashtra State Government has provided online facilities to the public for the refund of Stamp Duty is made easily available to the public, is in force anytime anywhere. We have provided the Timline Events of Registration and Stamp Department, Maharashtra State. We have provided additional facilities, for the user to get Useful Website related to Collector of Maharashtra State, Municipal Corporations in Maharashtra and Registration Department in Indian States. Disclaimer : Every care has been taken to ensure the accuracy of information furnished in this website. All the contents of this website are provided only for general information or mere use only. e-StampDutyReadyReckoner.com does not accept any responsibility or liability for any damage or loss arising from the direct or indirect use of the information provided on this website. Please take out some quality time of yours and drop few words about this site on Facebook which is highly appreciated.